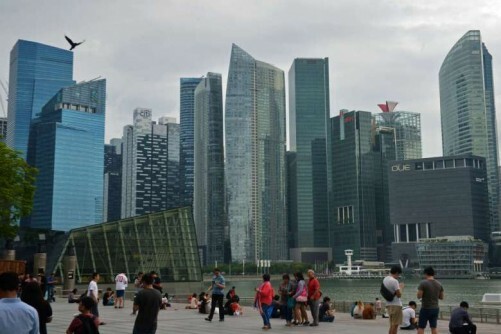 SINGAPORE - More firms are providing ad-hoc flexible work arrangements, although the proportion of firms with formal flexible work arrangements has not changed, according to a Manpower Ministry report on Monday (Nov 21). In 2016, 77 per cent of firms surveyed provided unplanned time off or ad-hoc tele-working - working from outside the office using IT - for their staff to attend to personal matters, up from 70 per cent in 2015. In contrast, the proportion of firms offering at least one formal flexible work arrangement, as opposed to ad-hoc measures, has stayed steady at 47 per cent since 2014. This was after it rose from 38 per cent in 2011. But such firms now employ more staff: 67 per cent of all employees, up from 65 per cent in 2015 and 56 per cent in 2011. The Conditions of Employment 2016 report found that part-time work was the most common formal flexible work arrangement, with 35 per cent of firms offering this. Flexi-time or staggered hours was offered by 23 per cent of firms. Formal tele-working was offered by only 6.2 per cent. For ad-hoc measures, unplanned time off was the most common, offered by 75 per cent of firms. Ad-hoc tele-working was offered by 21 per cent. More full-time employees were also entitled to at least 15 days of leave - 45 per cent, up from 42 per cent in 2014. A statistical study, included in the report, also found that firms with work-life initiatives tend to have lower employee turnover. Based on firm-level data, the regression study found that lower resignation rates were associated with a larger number of formal flexible work arrangements, a higher proportion of full-time employees on a five-day work week, and a higher proportion of full-time employees with at least 15 days of annual leave. For instance, the study found that each additional formal flexible work arrangement offered to employees reduces the resignation rate by 0.13 percentage points.